Having problems viewing this mail? Please click here. March Winner voted by the community! With one month already behind us and three more to go, we are excited to present the second winner of the Best of Instagram by SanDisk category and the next finalist of the Red Bull Illume Image Quest 2019: Baptiste Fauchille, with his shot at the bowl of Fillinges, a small French town in Haute-Savoie! Want to find out more about his shot? Click below! April submission phase for Best of Instagram by SanDisk starts on Monday! The second month of the Best of Instagram by SanDisk category saw thousands of submissions, and 25 amazing images were chosen by the Red Bull Illume internal judging panel. April submissions are starting soon! Make sure to tag @redbullillume and #rbi19submissions in the caption of your most gram-worthy adventure and action sports images! We’re happy to officially welcome Red Bull Photography to the Red Bull Illume partner family – as the team tasked with finding the best Red Bull Photographers and helping them evolve their career, they’re the perfect partner to sponsor the new Emerging by Red Bull Photography category, open to photographers only 25 and under. Splitboards, no phone service and missed deadlines.. all in a days work snowboard photographer Dasha Nosova. We spoke to Dasha to find out more about the impact of Red Bull Illume on her career. For any aspiring adventure and action sports photographers out there looking for inspiration, this is a must read! Commercial Register: Landesgericht Salzburg, FN 56247 t.
Chamber of Commerce: Wirtschaftskammer Salzburg. Red Bull Illume is the world’s greatest international imagery contest dedicated to adventure and action sports. It showcases the most creative and captivating images on the planet as art and aims to bring the public closer to the world of action sports. If you no longer wish to receive these newsletters, you can unsubscribe at any time by contacting us or by clicking the unsubscribe link at the end of this newsletter. This email has been sent to you as you are currently subscribed to receive Red Bull Illume Newsletters. 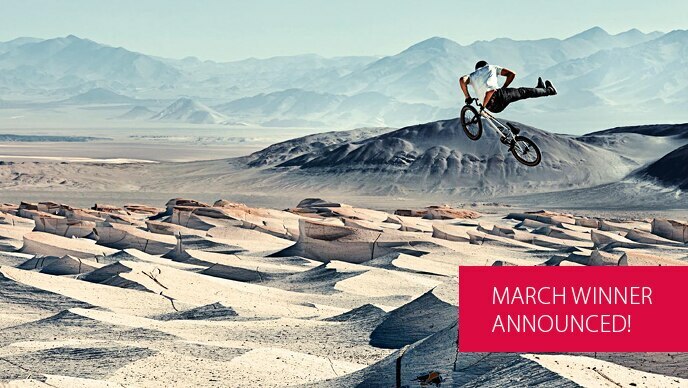 If you no longer wish to receive emails from Red Bull Illume, please click here to unsubscribe .